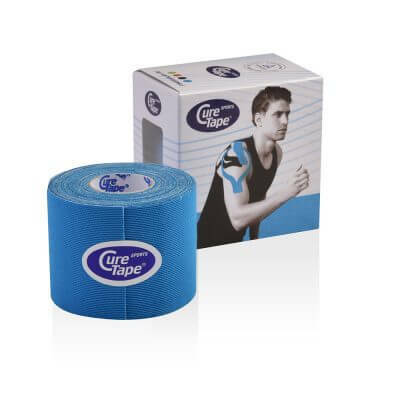 CureTape® Sports hypoallergenic kinesiology tape 5cm x 5m is made of viscose and hypoallergenic acrylic adhesive. 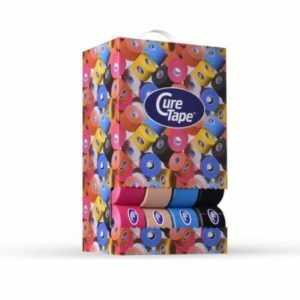 It feels smoother, faster drying and provides an extra powerful waterproof adhesive layer. 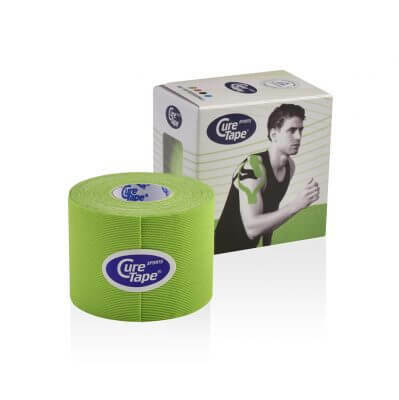 CureTape® Sports hypoallergenic kinesiology tape 5cm x 5m is made of viscose, a man-made fiber based on natural materials. Viscose contributes just as nice as cotton, but feels smoother and is faster drying. It is precisely this combination of materials and hypoallergenic acrylic adhesive, provide extra strength waterproof adhesive. A good choice for endurance on the athletic and sports field. CureTape® Sports tape is very suitable to wear during intense exercise, even under extreme conditions. 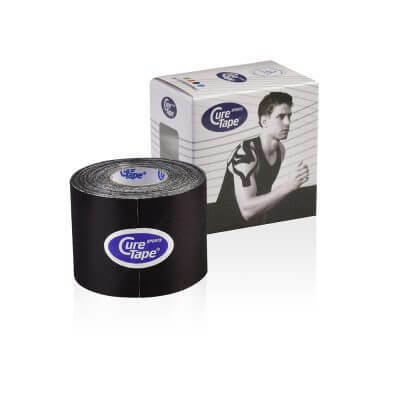 CureTape® Sports kinesiology tape is a safe, latex-free product with the TÜV quality mark and is produced in our own factory in South Korea.